UNT, like most higher education institutions, has made it a priority to give proper care to students who suffer from depression or experience suicidal thoughts. National Suicide Week was last week, but some groups on campus have planned events for later this month. 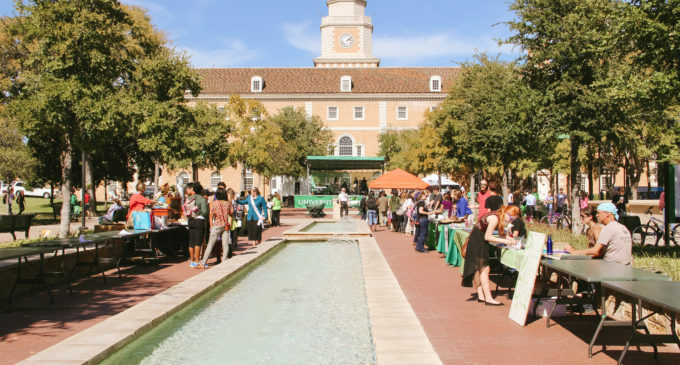 The UNT Health Expo, scheduled for Wednesday, Sept. 23 in the Library Mall, will showcase vendors and bring departments together to discuss the well-being of the student body. Launched by the Mental Health Task Force in 2014, the Speak Out campaign makes qualitative observations to treat mental illnesses. According to the spring 2014 Reference Group Executive Summary by the National College Health Assessment, 33.5 percent of 79,266 students felt so depressed it was difficult to function, while 5.2 percent seriously considered suicide in the last 12 months measured in the survey. The Speak Out campaign aims to end the stigma surrounding mental health, educate the community and connect those in need of UNT’s resources. The counseling and psychiatry clinic in the Health and Wellness Center, Dean of Students Office and psychology clinic provide assessment and treatment for students who need it. Both the CARE Team and Mental Health Task Force work with such departments, along with police and faculty, on suicide prevention and depression treatment. They are available every day for referrals to mental health professionals. “Last year we had over 200 referrals,” said Dr. Maureen McGuinness, dean of students and member of the CARE Team. In addition, the non-profit psychology clinic in Terrill Hall provides professional training, conducts scientific research and serves community members. Licensed psychologists, including doctorate-level students, perform therapy and tests. Speak Out provides other programs and activities. With Counseling and Testing, the QPR (Question, Persuade, and Refer) suicide prevention training will occur every second Thursday of the month in Chestnut Hall. Students may call the counseling center to reserve a seat in the training. Green Zone Training for veteran students and a Sexual Assault Survivor Advocacy program are also provided by Speak Out. For upcoming events, visit speakout.unt.edu. Dr. McKinney encourages openness when mental health is often shushed in society.